The 3,000 lb track skid steer loader is a large-frame skid steer model equipped with two lifting arms that can be attached to various tools. 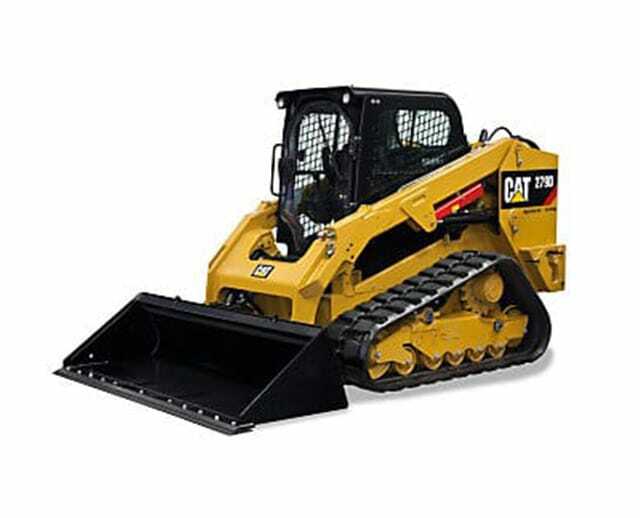 As a heavy-duty machine, the large-frame skid steer loader is best for general earthmoving tasks, transporting or removing debris for site clearance, road construction, or lifting heavy materials like brick pallets or dirt. The vehicle’s tracks are suited for rough outdoor terrain, qualifying this model for off the slab projects requiring excavation or moving heavy objects for construction and maintenance teams.